The Android operating system is constantly updated, and each update brings a different experience to the user. From Android 1.0 to Android 9.0, it has made major breakthroughs in vision, concept, and functionality. But the constant is that each generation of Android OS has a corresponding dessert code, Android 5.0 is Lollipop, Android 6.0 is Marshmallow, Android 7.0 is Nougat, Android 8.0 is Oreo, and Android 9.0 is Pie. So what are the features of Android Pie? How can we quickly get Android P update? Next, this article will give a detailed explanation and three ways to update the Android version. 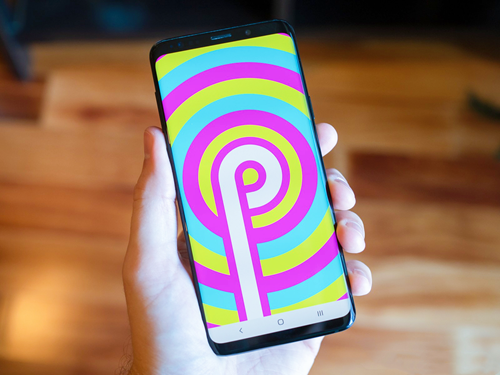 Now that you’ve known the awesome features of Android 9.0 Pie, you may can’t wait to upgrade your current Android version to the latest Android version. 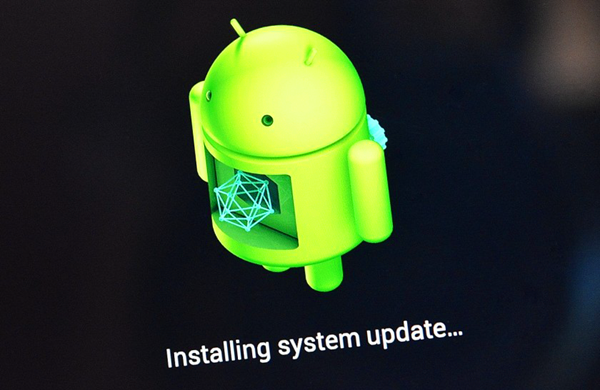 However, the Android system update is not as simple as you think. Even if you’ve read a lot of tutorials, you will find that most of them are too complicated to understand. To serve your needs, here I’ll introduce three simple and effective ways to update your Android version, there is always a way that works for you. Connect your Android phone to the Wi-Fi Network. Go to Settings > About device, then tap System Updates > Check for Updates > Update to download and install the latest Android version. Your phone will automatically reboot and upgrade to the new Android version when the installation completed. Under ordinary conditions, the official website of mobile phone manufacturers will update some system files for users to download and upgrade. You can go to the download center of your Android phone’s official website, and then download the latest system upgrade package according to your phone’s brand model. After the download is completed, please store it in the phone’s SD card. 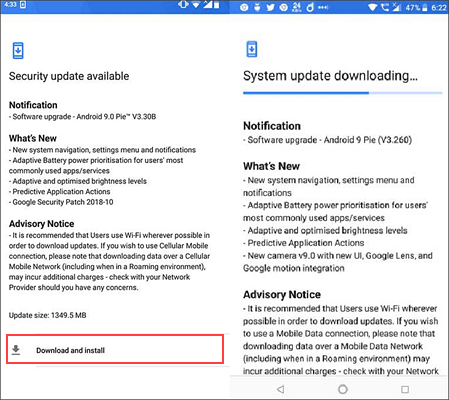 To update the Android OS version, you need to negative to Settings > About Phone > System Update, once your phone shows the available package, tap Continue to download and install the package. After rebooting, your phone will be updated to the Android 9.0 Pie automatically. 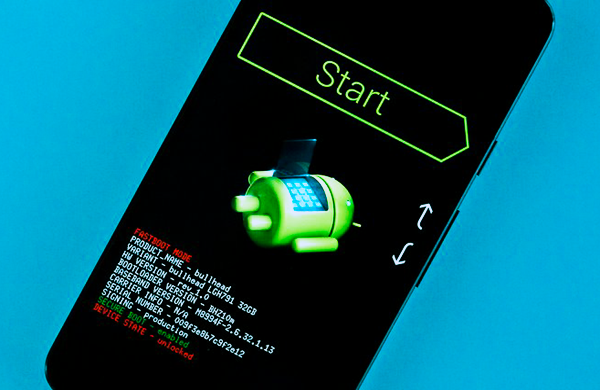 Rooting is an extremely powerful approach to update your Android system. If you need to upgrade to the latest Android OS version when it’s accessible, you could try to root your phone, which can not only enable you to attain super administrator permissions over various Android subsystems but also access updates effortlessly. Download and install a root app on your computer. After running it, connect your phone to the computer via a USB cable. Root your phone by following the corresponding prompts. Reboot your phone to access the latest version of the Android operating system. 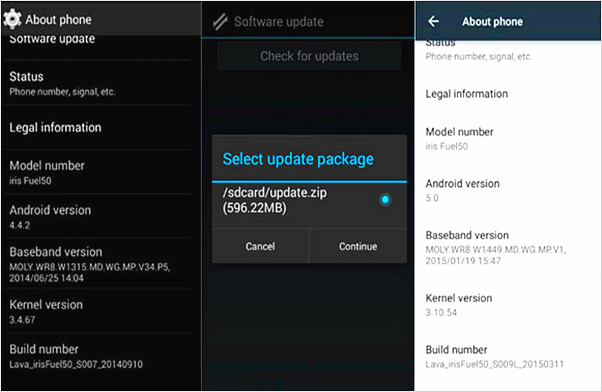 The above are three ways to update the Android OS version, have you learned? If yes, please don’t hesitate to share it with your family and friends, so you can enjoy all the new features brought by Android 9.0 with them. By the way, no matter which method you choose, it is suggested to back up all the important data in your phone on your computer to prevent accidental data loss. 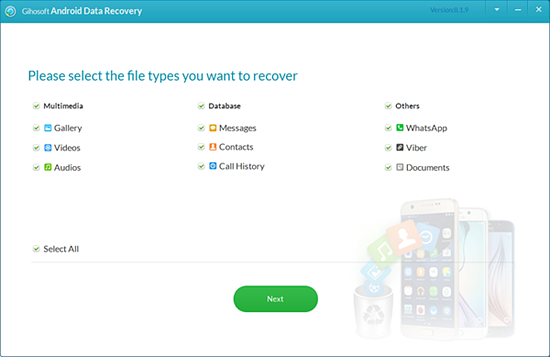 Of course, if you lose data after upgrading the Android version without backing up, it doesn’t matter, because there is a free data recovery software that allows you to recover deleted or lost data without backup, that’s Gihosoft Free Android Data Recovery. With it, you can easily restore deleted contacts, messages, call logs, photos, music, videos, and other files from your phone memory or SD Card with original quality guaranteed. What Will Be The Next Android Version? Android 9.0 is the sublimation of the previous Android operating system version. Although it is perfect, developers have not stopped developing new Android versions, in order to bring a better experience to users. So what can we expect for the next Android version? It is said that the next Android version is not Android 9.1 but Android Q, but its specific dessert code is not clear. Android Q, also known as Android 10, is bound to outperform Android 9.0. Currently, the release date of Android Q is uncertain, but there are some rumors about its function. Do you want to know what features Android Q has? Read Everything About Android 10 Q.